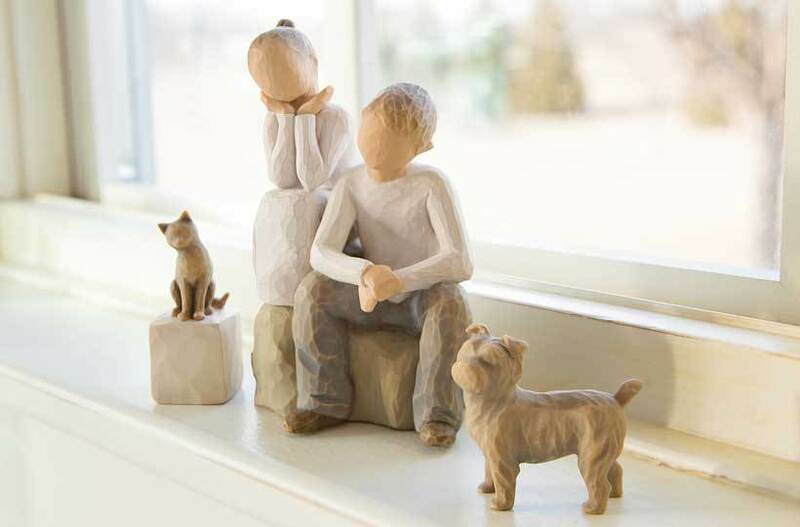 Willow Tree sculptural art forms beautifully express love, closeness, healing, courage, hope… all the emotions of a life well lived. Artist Susan Lordi hand carves the original of each figure from her studio in Kansas City Missouri. Pieces are cast from her original carvings, and individually painted by hand. Expression is revealed through gestures only… a tilt of the head, placement of the hands, a turn of the body. The simplicity of form and absence of facial features signify Willow Tree. It is Susan’s hope that these pieces be meaningful to both giver and receiver. Child of the world, Into my heart you came - Bringing sun into my life, Making family our name.